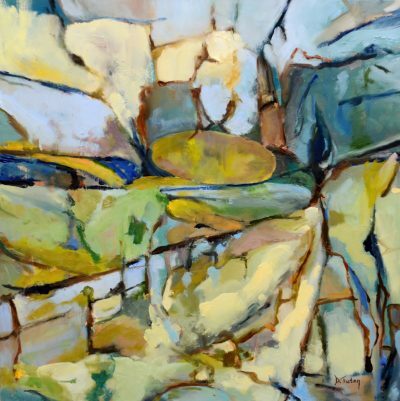 This month, our spotlight is on artist Donna Tuten. 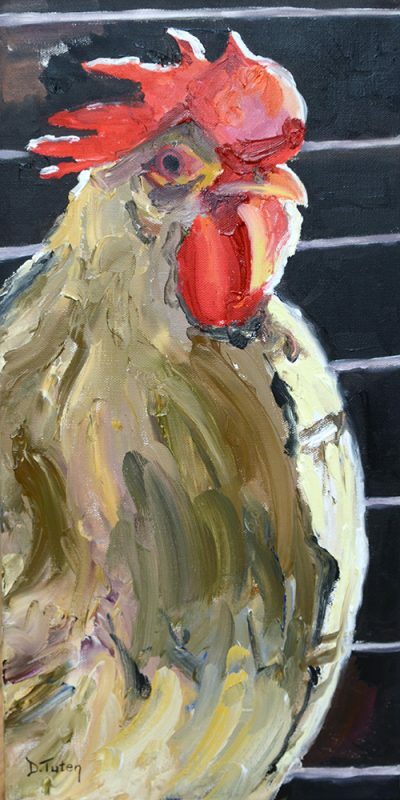 Donna’s oil paintings capture a wide variety of subjects. Donna Tuten is a full-time court stenographer. When she moved to Roanoke from the Richmond area about 10 years ago, she decided to pursue an interest of hers—art. 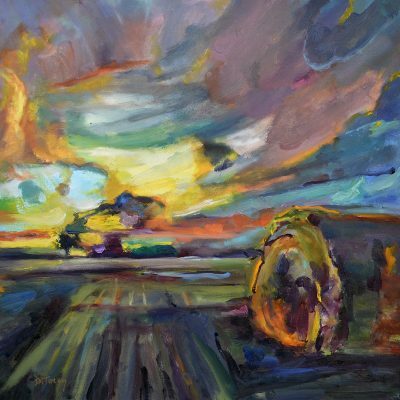 Through taking drawing classes at Virginia Western and then other art classes with local artists, she quickly found that she did have the ability. And that art was not only a great way to achieve her goal of meeting people, but it was also a relaxing hobby that she had quite a talent and passion for. “To discover art late in life was exciting for me,” she said. A huge part of that art community for her is Gallery 202. 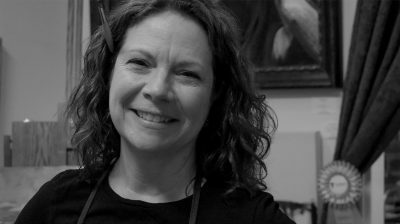 Donna is one of about 10 artists who each have their own studio in the space, which is located at 206 Market Square near the Farmer’s Market in Downtown Roanoke, up one flight of stairs. The space also features a gallery of the different artists’ work. 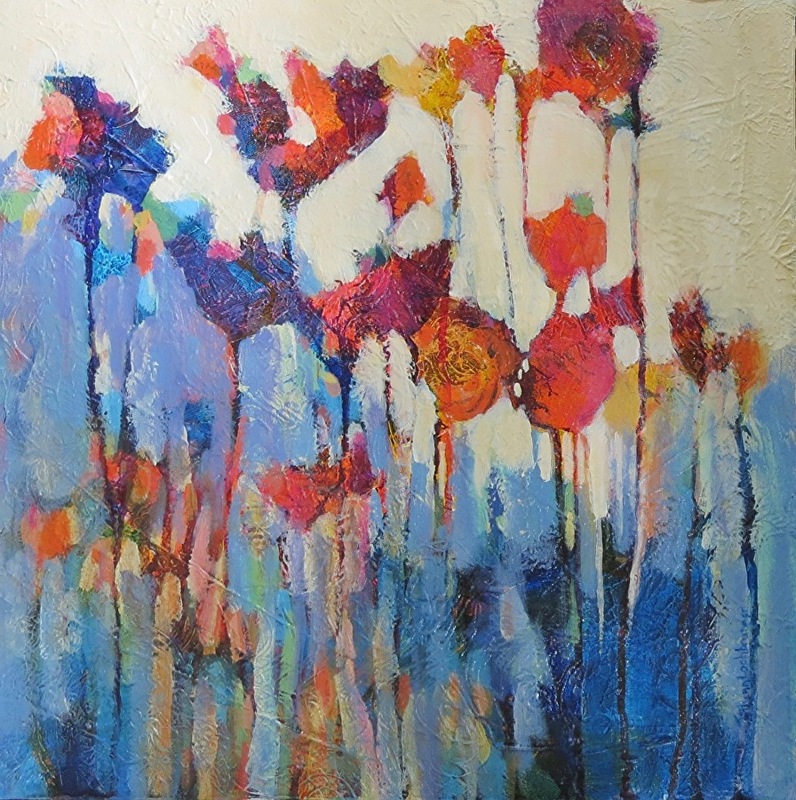 Although Donna started out painting with acrylic, she has now transitioned to primarily using oil paints. “Acrylic dries too fast, and I find using oil to be more relaxing,” she said. Two of Donna’s paintings. The first, Field of Dreams, representing her impressionistic style. The second, Four Roses, representing the realistic style. 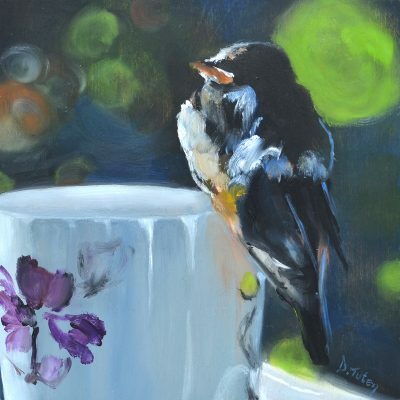 Donna’s inspiration for her paintings comes from things in life that she enjoys the most. 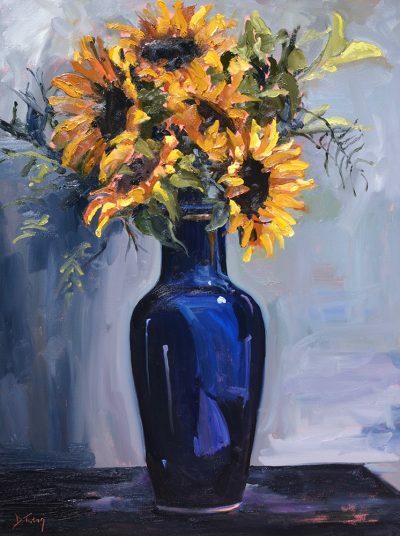 Which is why her paintings represent such a wide variety of subject matter—florals, landscapes, animals, still life, reflections, glassware, and scenes from travel destinations, to name a few. 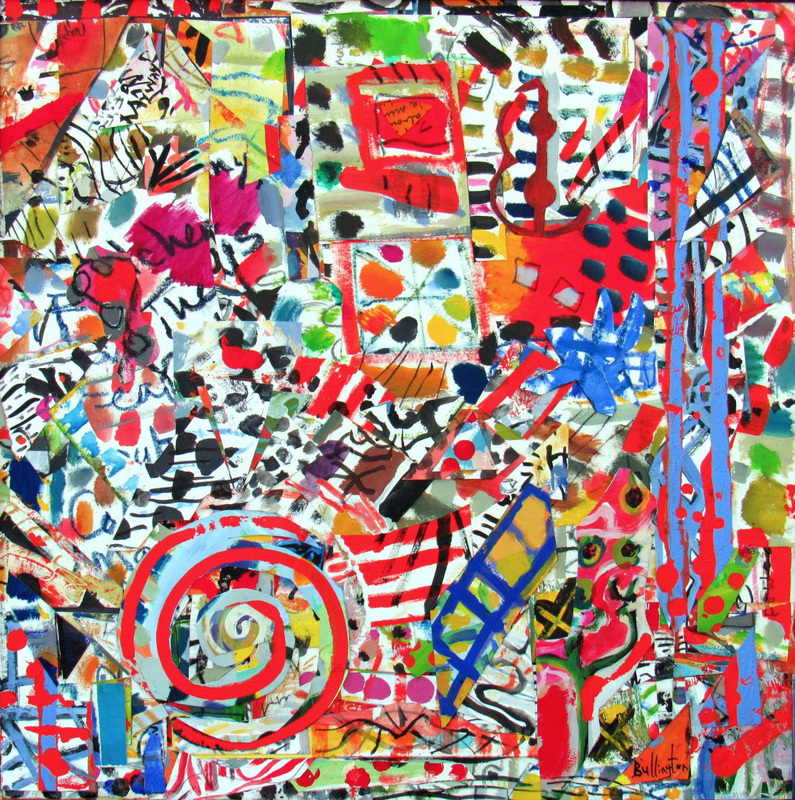 Her goal is to create enjoyment for others through her bright and colorful artwork. 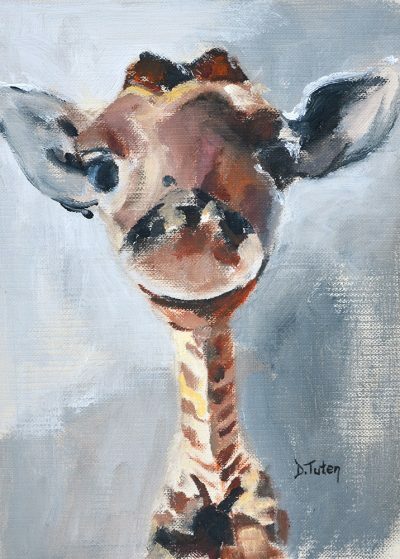 Two of the set of 10 of Donna’s paintings of baby safari animals. Donna looks forward to retiring in a few years so that she can spend more time on her artwork and marketing it. “I’d like to get it beyond Roanoke, but for now, I spend my time painting, not marketing,” she said. 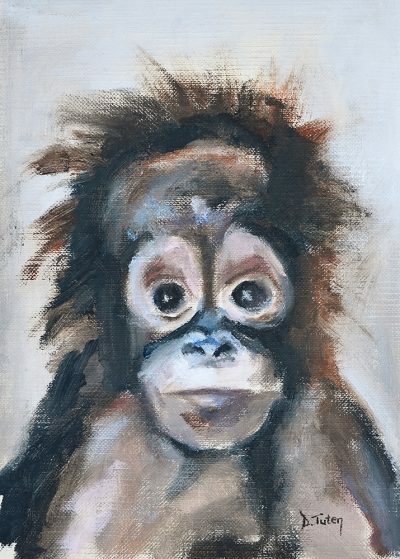 Since painting is still her hobby for now, she declines most commission requests in order to paint what she wants to paint. 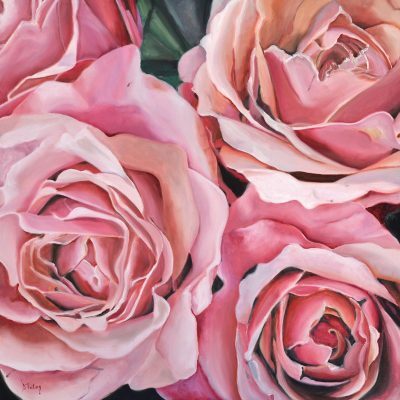 She does sell her pieces at galleries, and prints of many of her pieces are available for purchase through her website. 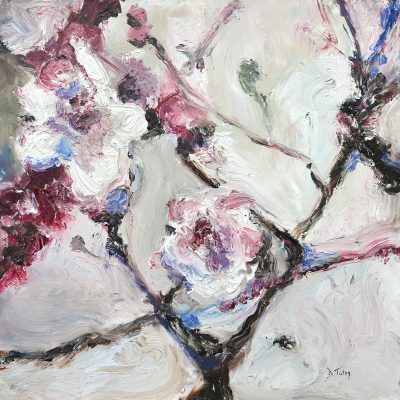 You can see Donna’s artwork at Gallery 202. Stop in sometime and see her and the other artists, and talk with them as they work. 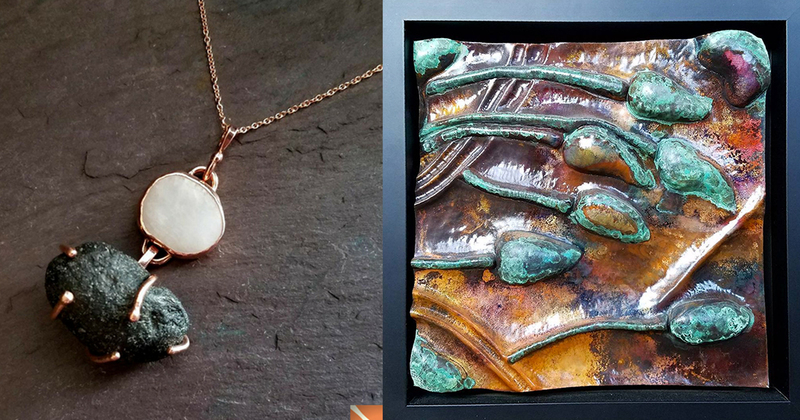 Donna is also participating in the Open Studios Tour of Roanoke on April 28 and 29. Additionally, you can find her work on display at Magnolia, Black Dog Salvage, and other locations around town. When Donna is not using her free time on weekends to paint, you can also find her enjoying food and wine in the Roanoke area and spending time with her family, including her first grandchild, a granddaughter who is now 9 months old. She and her boyfriend also enjoy traveling, especially to destinations where they can go scuba diving. 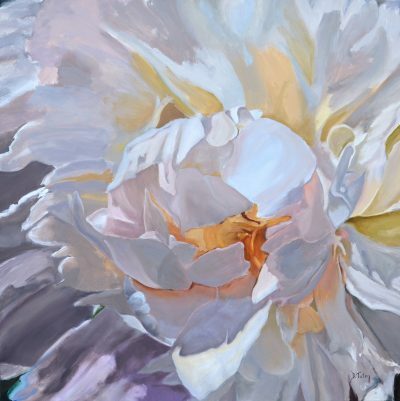 For more information about Donna and her artwork, visit her website. Donna is an incredible artist! Donna does some wonderful work. I’m sure the future holds great promise for her advancement. Hi Donna we like your work.